Partner with Hallmark Business Connections for effective member outreach and incentive strategies to help you assess the overall health of your members and boost your HEDIS® performance. Our power-of-choice incentives and greeting cards help you turn touchpoints with your members into invaluable opportunities to build and strengthen the member-plan relationship, moving them to action and closing gaps in care. 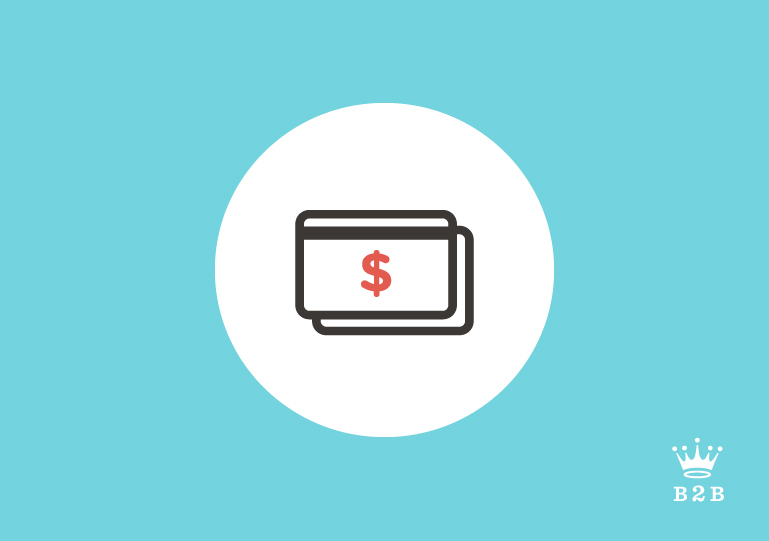 It’s important for you to understand the overall health of your members, identifying conditions in need of treatment to improve quality of life and wellness – and in some cases to help you manage risk adjustment payments. How do you inspire millions to complete the long forms of health risk assessments? Get mammograms, colonoscopies, tests and other screenings? Continue managing chronic diseases? All the while, educating members about the benefits of a healthy lifestyle while encouraging less-than-fun procedures? Clients choose Hallmark Business Connections because we’re a one-stop shop for wellness incentives with fast, accurate fulfillment, sure-to-be-opened greeting card communication strategies plus reliable data security, management and compliance. MOTIVATE BETTER HEALTH OUTCOMES WITH MEMBER ENGAGEMENT. The fun of choosing a major-brand gift card and spending it feels like a guilt-free splurge. Fast delivery of our gift card incentives reinforces the connection to the healthy outcome. The trophy value of the item purchased reflects back to your organization as these purchased items are enjoyed and shared with others. THE LANGUAGE OF CONNECTION. HALLMARK SPEAKS IT WELL. Because there are as many unique, personal and varied ways to communicate as there are people, we rely on our greeting card sub-brands to convey your message in a way that your members will feel and hear. When used as a direct mail format, Hallmark greeting cards achieved response rates up to 33%. That’s pretty amazing. Because the envelope arrives bearing the familiar Hallmark gold crown, it gets opened, and your custom-designed greeting card and informational insert do the rest to move your target population into action. All this works to differentiate your organization as the one that truly cares about its members’ well-being – a fact not easily forgotten when it comes time to choose a health plan. 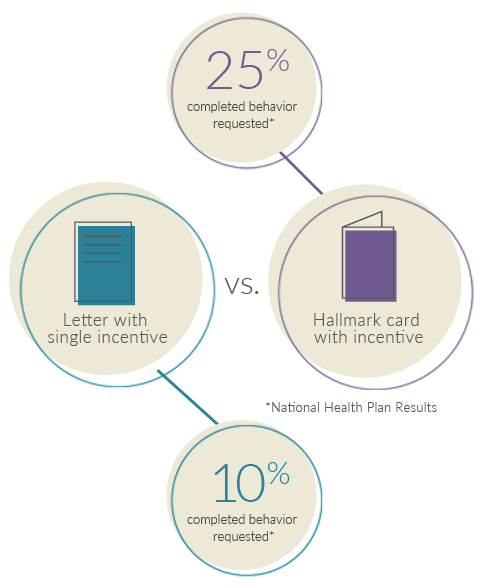 HALLMARK CARDS WORK BETTER THAN OTHER FORMATS FOR MEMBER OUTREACH AND BEHAVIORAL OUTCOMES.